A risk factor is anything that increases a person’s chance of developing cancer without having knowledge of the factor. Although risk factors often influence the development of cancer in a human body, most do not directly cause cancer but can provoke it. Some people with several risk factors never develop cancer, while others with no known risk factors do suffer. Knowing your risk factors and talking about them with your doctor may help you make more informed lifestyle and health care choices. Recently in medical survey, the total cases of cancer being detected around 11.57 lakhs and death cases were approximately 7 lakhs. Cancer seems to have a way of deeply invading the lives of those stricken by the disease. And very often the treatment isn’t much friendlier to patients. But some recent advances in cancer treatment are helping, including some minimally invasive and non surgical procedures, especially in case of Liver tumours. Usually, around more than 10 million people around the world are expected to be diagnosed with cancer every year, a life threatening disease commonly believed to be preventable. 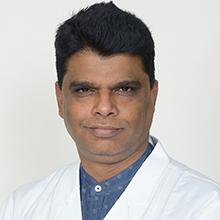 Only 10-15% of the cancer cases can be detected due to genetic defects, whereas the remaining percentage has their roots in the environment and lifestyle habits said DR. RUDRA PRASAD ACHARYA, Director- Oncology, Max Super Speciality Hospital, Shalimar Bagh, New Delhi. Cancer prevention requires smoking cessation, increased ingestion of fruits and vegetables, moderate use of alcohol, caloric restriction, exercise, avoidance of direct exposure to sunlight, minimal meat consumption, use of whole grains, use of vaccinations, and regular check-ups. In this review, we present evidence that inflammation is the link between the agents/factors that cause cancer and the agents that prevent it. Cancer is a preventable disease that requires major lifestyle changes and be prevented. Approximately, seventy percent of patients with liver cancer cannot opt for surgery for many reasons, like, the tumours could be too large to be removed or they could be too close to major blood vessels or other organs. And many a times, patients may have many small tumors in the liver, thus making surgery too risky or impractical. When liver tumors are small in size and number and have not spread to nearby blood vessels – and no cirrhosis or other liver conditions are present – patients may also be eligible for a liver transplant. But again, not many patients are in condition to go through a liver transplant surgery.